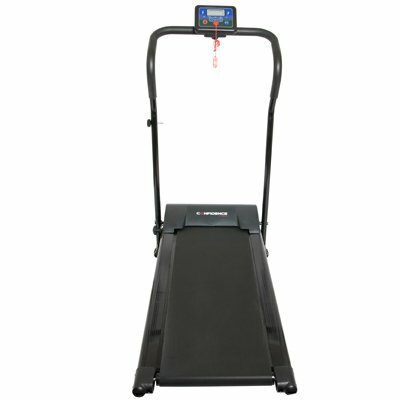 The Confidence Power Plus Motorized Electric Treadmill is an entry level budget-friendly treadmill that gives you all the most basic of options that can be expected of a treadmill priced low. Like most other treadmills in the similar price category, the Confidence Power Plus Motorized Electric Treadmill is compact and capable of folding so you can save space in your room and move the treadmill elsewhere once your workout is complete. For its inexpensive price, you get a standard console that displays calories, time, distance and speed. Right on the front of the treadmill is a large LED screen that lets users completely control the settings. Adjust the settings to go for a longer run, or turn down the settings to enjoy a brisk walk. All you need to do is press one button to determine the duration of your workout and press a second button to decide your speed. It must be noted though that the Confidence Power Plus does not come pre-programmed with workout programs. If you’re on a budget and want to increase your health and fitness with some walking or light jogging in the comfort of your own home, this treadmill still warrants a look. Weighing less than 55 pounds, the treadmill is light and the frame isn’t too heavy either, making it pretty easy to set up by one person alone. It can also support a person of up to 250 pounds The treadmill folds down easily and slides effortlessly thanks to the wheels attached to the bottom. When it folds flat, you can easily slide it under a bed or dresser and pull it out later. The running surface measures at 14 x 39 which makes it a little short for you runners out there who fancy taking long strides. Nor is there a feature for the incline either. 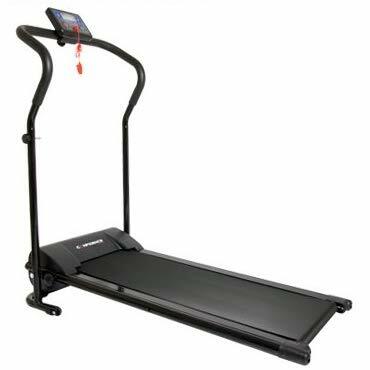 But all is not lost with the apparent lack of features because the Confidence Power Plus Motorized Electric Treadmill comes with a 600 Watts electric motor that helps move the conveyer belt. This feature of a motor is very rare with low-budget treadmills yet the Confidence comes with a moderately good motor that can take the belt speed up to 6 mph. 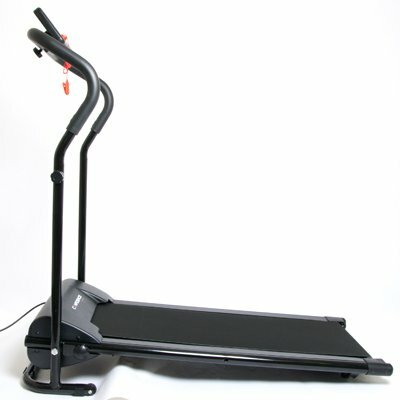 And while this speed may prove to be too slow and frustrating to experienced treadmill users, the feature of the motor makes it very convenient for newbie exercisers who may lack the strength to push a manual running belt with the force of their own strides by instead giving them an automatically moving belt to continue walking on. The movement of the belt however tends to cause the treadmill to jerk unevenly and risks unbalancing the user. Also, because of the size of its small motor, the Confidence Power Plus does have a predisposition towards being quite noisy at times and there’s a probability that during your workout session, you might risk annoying others sharing the same room. The running surface can be a little short for running. 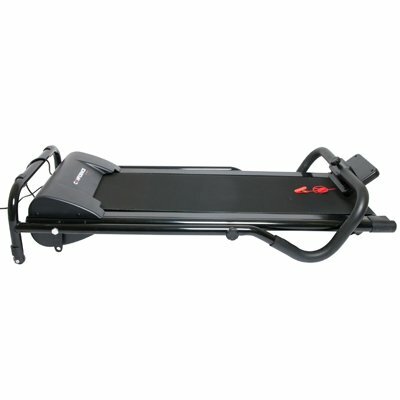 Apart from its cheap price and 600W motor, the Confidence Power Plus Motorized Electric Treadmill does not have too much going for it. By investing less you can get a Weslo G 5.9 Cadence for $285.00 that will give you a greater degree of options at the same bargain price. Nonetheless the treadmill is pretty cheap and can work passably for more mellow workouts at your home. So if you’re interested in the Confidence Power Plus Motorized Electric Treadmill, give it a go by all means. For its nominal price, it's quite a good deal that the treadmill is powered by a motor. There isn't anything overly flashy with this machine. It adequately gets the job done.